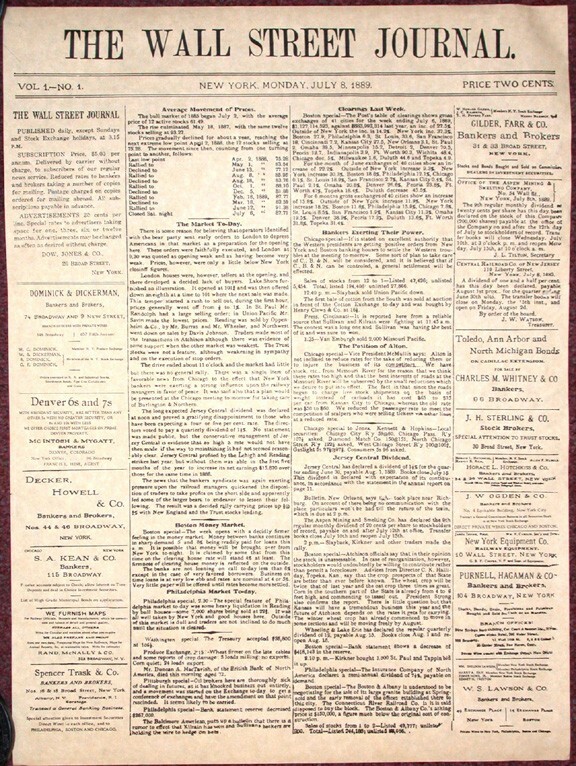 On July 8, 1889, the first issue of The Wall Street Journal was published by Dow Jones & Company. Dow Jones & Company had just recently been founded in 1882 by reporters Charles Dow, Edward Jones, and Charles Bergstresser. The publication cost only two cents at the time!